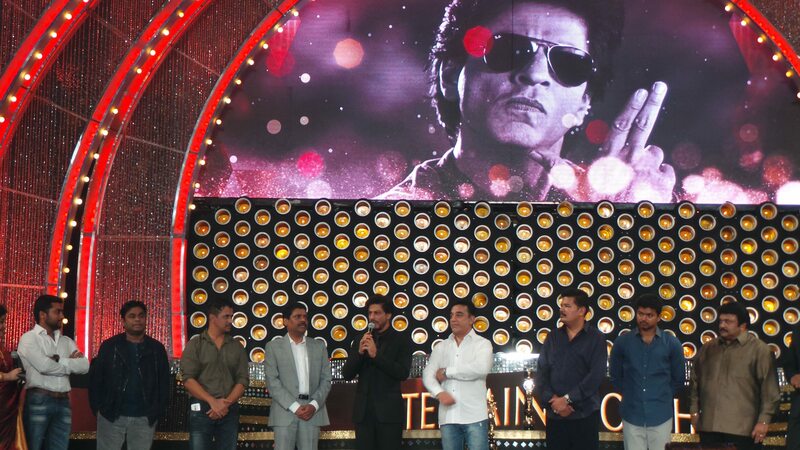 Shahrukh Khan receives another honor. 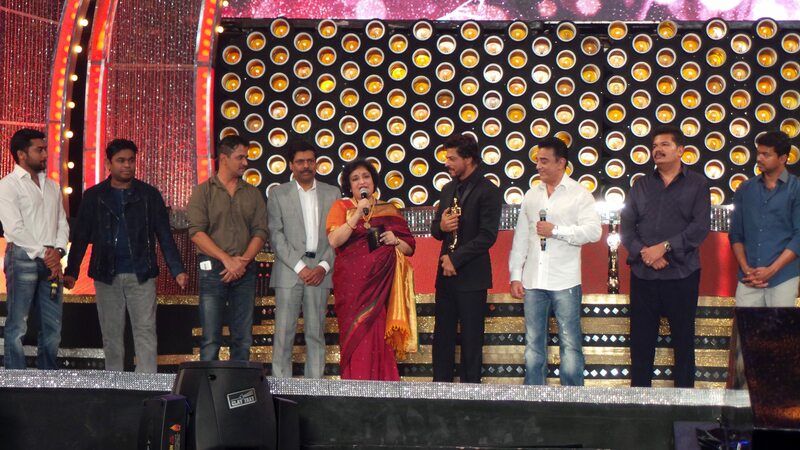 After receiving the highest French honor for his contribution to the field of arts, Bollywood superstar Shahrukh Khan has now been honored with the Entertainer of Indian Cinema award at the 8th Annual Vijay Awards. The actor received the award on July 5, 2014, the ceremony was held in Chennai. 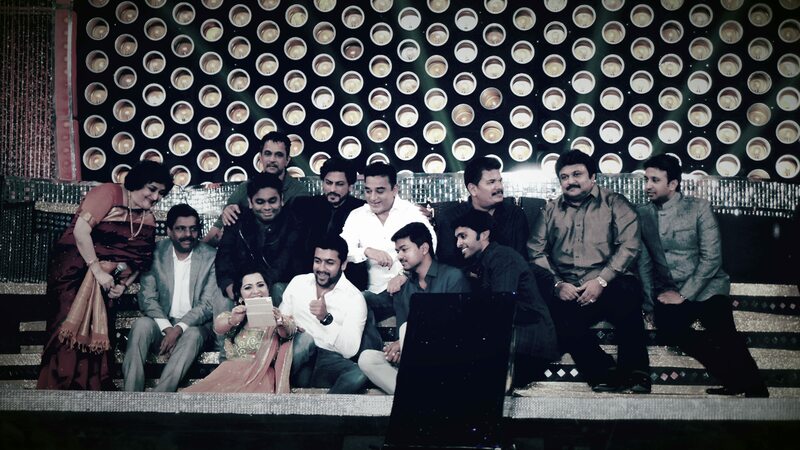 The award event was also attended by actors Kamal Haasan and Mrs. Latha Rajinikanth. 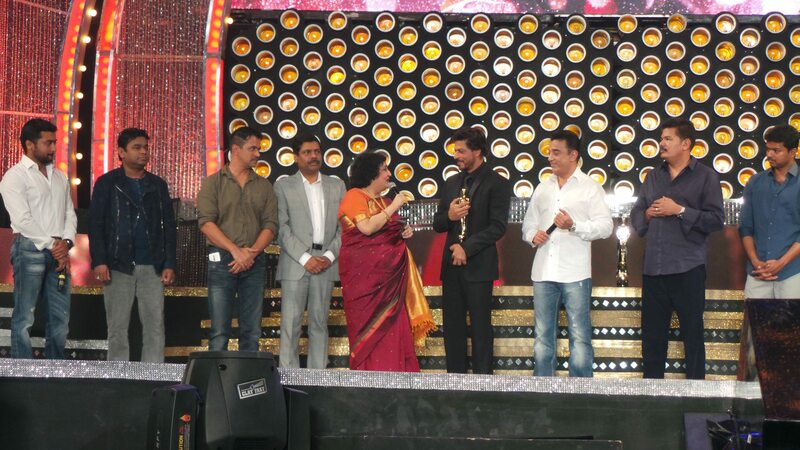 Shahrukh received the award from the hands of Latha Rajinikantha, while other actors Kamal Haasan, Vijay, Surya and Director Shankar applauded him on the stage.